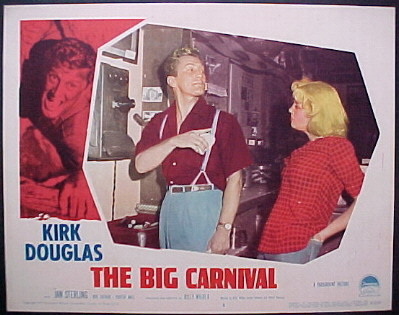 Kirk Douglas, Jan Sterling in Wilder's scathing look at sensational journalism. 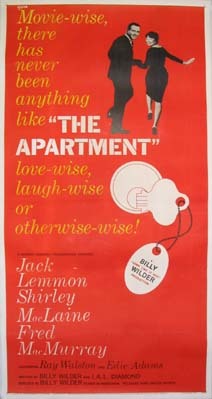 Directed by: Wilder, Billy. 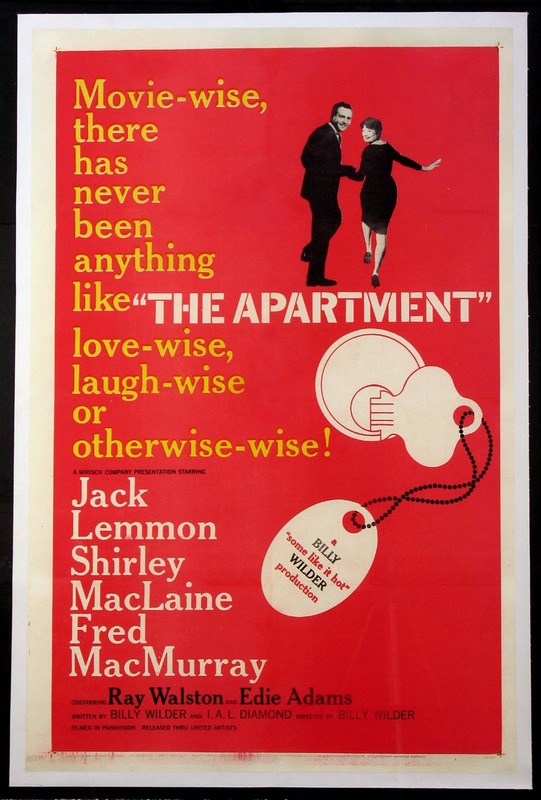 Jack Lemmon, Shirley MacLaine, Fred MacMurray. Directed by: Wilder, Billy. 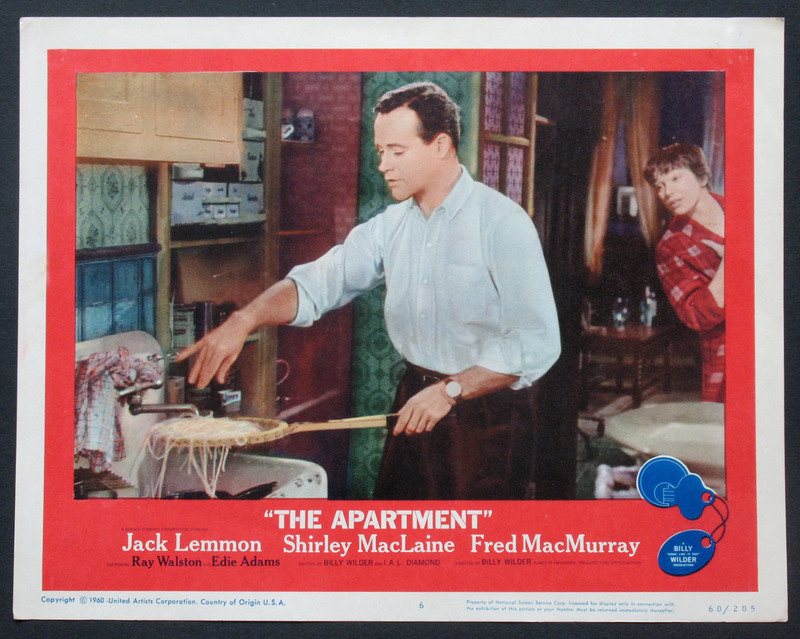 3-Sheet , 41x81 FINE, linenbacked, U.S.
1-Sheet , 27x41 FINE-NM, linenbacked, U.S.
Jack Lemmon, Shirley MacLaine. Directed by: Wilder, Billy. 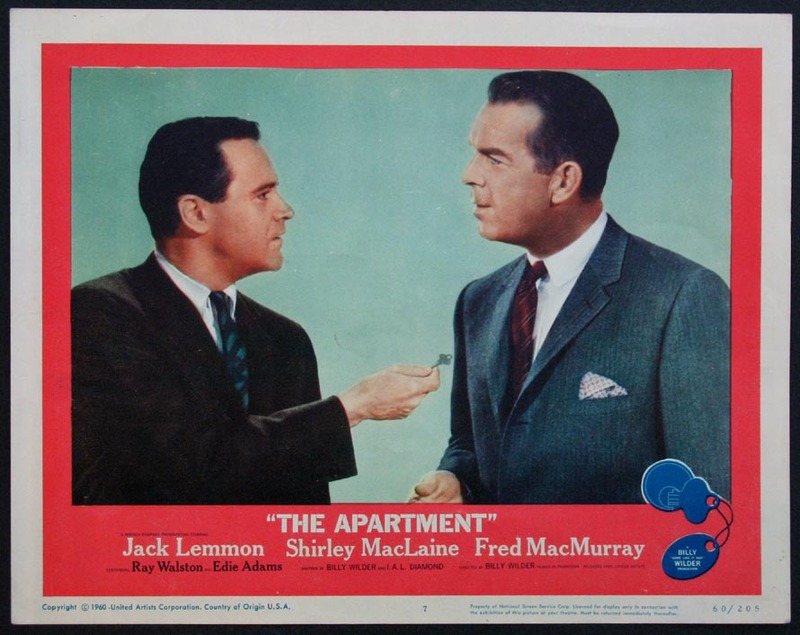 Lobby Card (11x14) , (SC#6) VG, U.S.
Jack Lemmon, Fred MacMurray and the key. 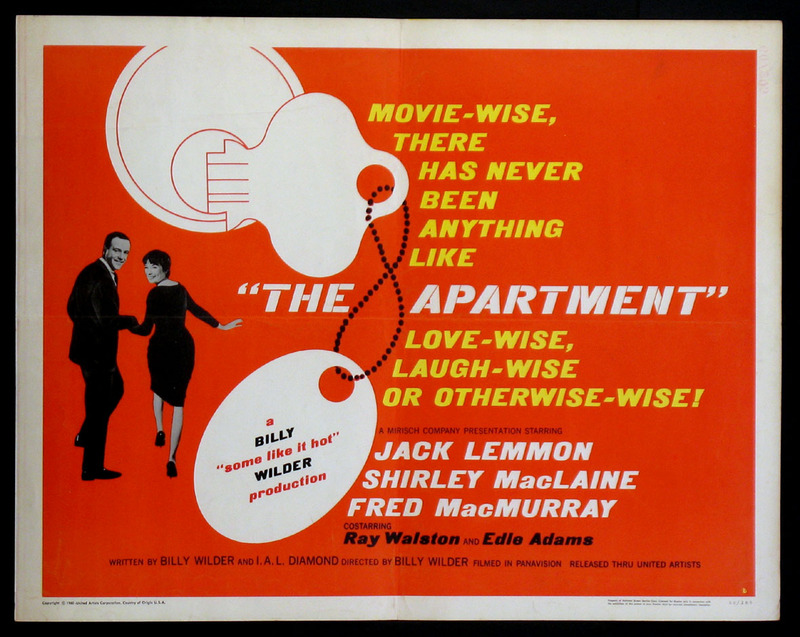 Directed by: Wilder, Billy. 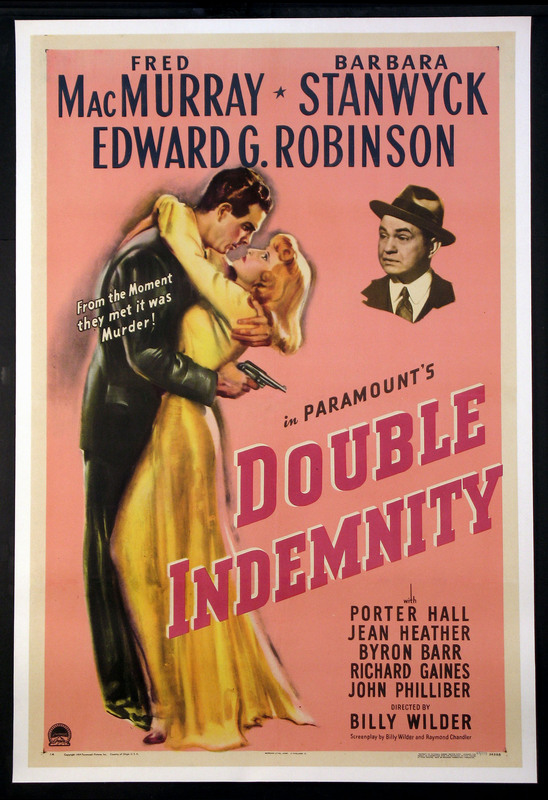 Lobby Card (11x14) , (SC#7) FINE, U.S.
Half-sheet , 22x28. 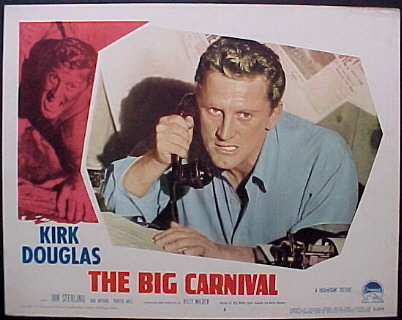 Style B FINE, U.S.
Kirk Douglas. Directed by: Wilder, Billy. 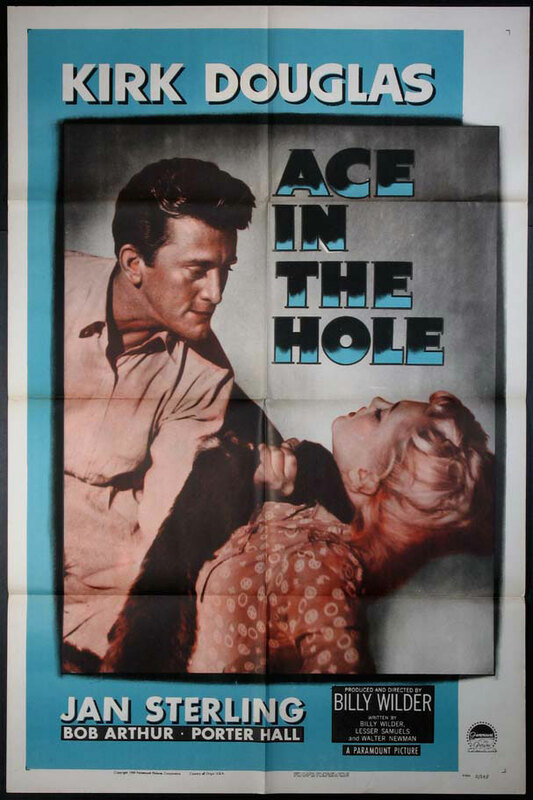 Lobby Card (11x14) , (SC#6) FINE-NM, U.S.
Kirk Douglas, Jan Sterling. Directed by: Wilder, Billy. 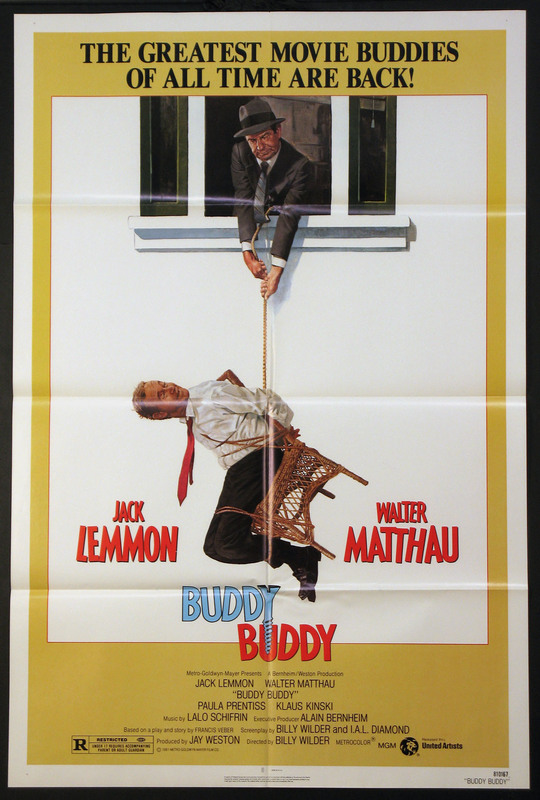 Lobby Card (11x14) , (SC#5) FINE-NM, U.S.
Jack Lemmon, Walter Matthau. 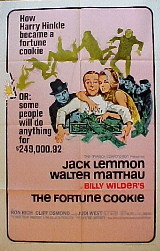 Directed by: Wilder, Billy. 1-Sheet , 27x41 VERY FINE, U.S.
Barbara Stanwyck, Fred MacMurray. Directed by: Wilder, Billy. 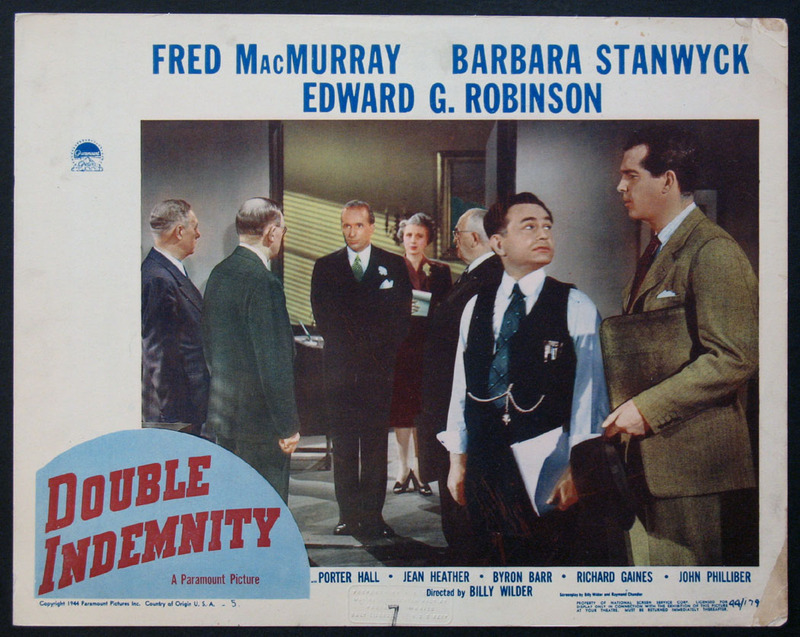 Lobby Card (11x14) , (SC#4) VERY FINE, U.S.
Fred MacMurray, Edward G. Robinson. Directed by: Wilder, Billy. Lobby Card (11x14) , (SC#5) VG, U.S.
Billy Wilder Film Noir with Barbara Stanwyck, Fred MacMurray. Directed by: Wilder, Billy. 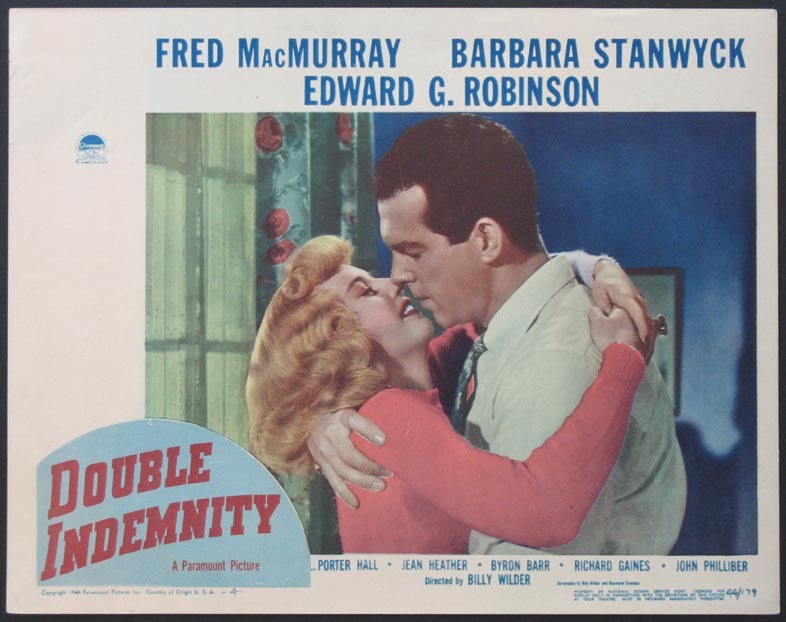 Lobby Card (11x14) , (SC#2) VG-FINE, U.S. 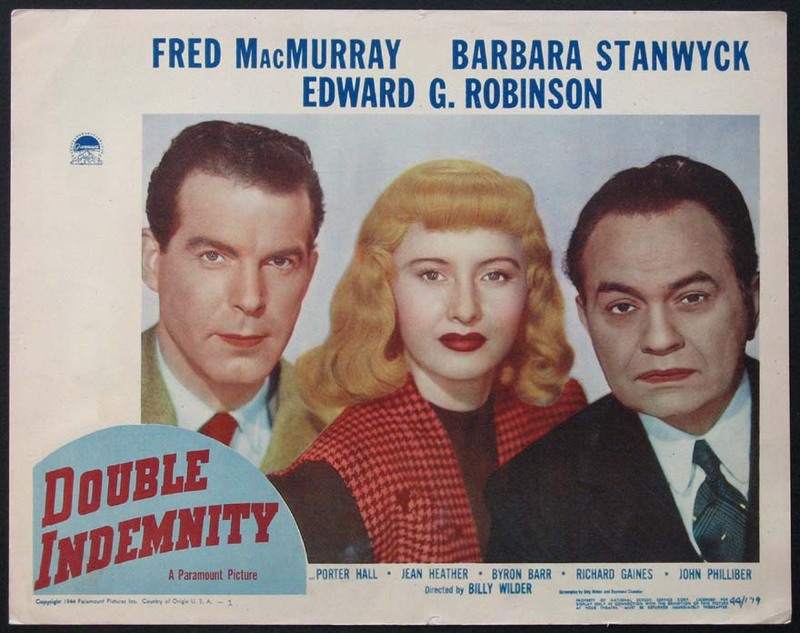 Lobby Card (11x14) , (SC#4) VERY FINE-NM, U.S.
Barbara Stanwyck, Fred MacMurray, Edward G. Robinson. Directed by: Wilder, Billy. 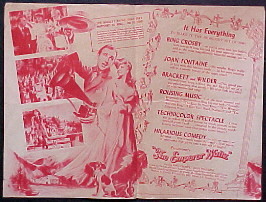 Lobby Card (11x14) , (SC#1) VG-FINE, U.S. 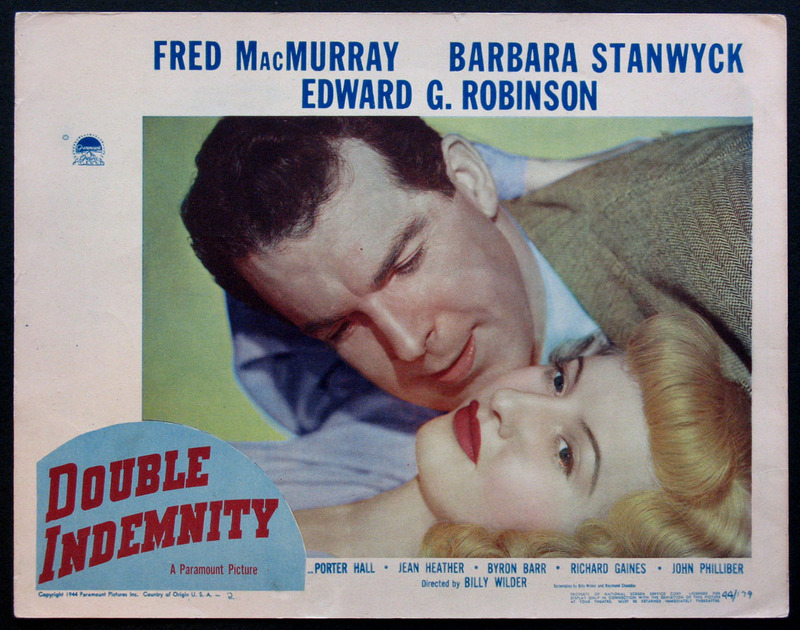 Lobby Card (11x14) , (SC#2) FINE-VERY FINE, U.S.
Barbara Stanwyck, Fred MacMurray, Edward G. Robinson in Billy Wilder noir masterpiece. Directed by: Wilder, Billy. 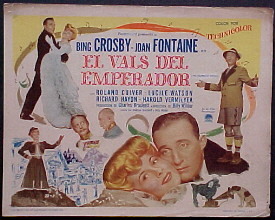 1-Sheet , 27x41 VERY FINE, linenbacked, U.S.
Bing Crosby, Joan Fontaine. Directed by: Wilder, Billy. Herald , 9x12 VG, U.S. 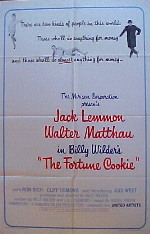 Lobby Card (11x14) , (TC) Spanish titles VG-FINE, U.S.
Jack Lemmon, Walther Matthau. Directed by: Wilder, Billy. 1-Sheet , 27x41 A NM., U.S.
1-Sheet , 27x41 B NM., U.S.